Maiya* dreams of becoming a teacher. But she’s from a remote village in Nepal, where the nearest school is hours away and children are trapped in isolation, illiteracy and poverty. Thankfully Maiya is one of the fortunate ones, she now gets a great education at our children’s home in the city in term time. But there are many more children who are desperate for the same opportunity. So we are building a school in the heart of this remote village, allowing us to bring education where it is needed most. The school will become a centre for education, where we can reach out to hundreds of children like Maiya and give them a chance for a better future. Building the school, equipping it and providing teachers in such a remote area will be a major challenge but one we are pleased to accept. Help us bring love to the forgotten and neglected children of Nepal and join us in building a school. With your help, there is hope. 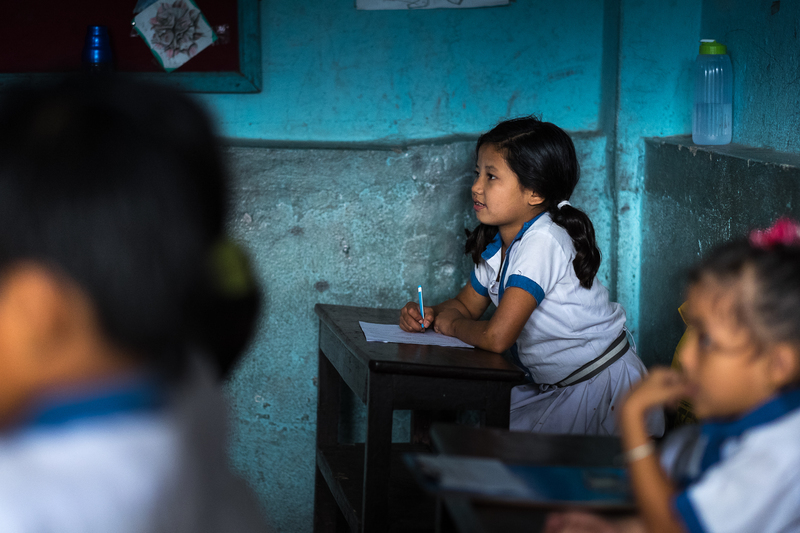 Thank you for your generous support to help us build a school in a remote mountain village in Nepal and give vulnerable children access to a great education. We are delighted to tell you that the land has already been levelled and cement, bamboo and materials have arrived on site. The local team are working hard on the construction of the school and the frame is taking shape. While the school is being built, our staff are continuing to work with the local families and educating the children, girls especially, on how to protect themselves from the dangers of child trafficking and forced marriage.